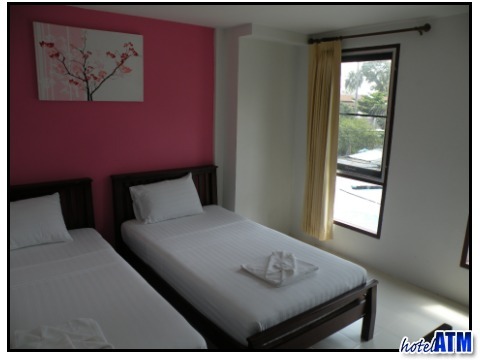 The rooms of the Ivory Phi Phi are carefully colour coordinated and have a tasteful interior design to offer the most pleasing aspect for these village rooms. Ivory Phi Phi has the atmosphere of a stylish boutique guest house. In an interesting location at the heart of the local village these rooms will be perfect for those who want to be, on one hand, 2 minutes from as world class beach, but on the other, in the heart of a traditional setting. Stylish and fun, the Ivory is popular with travellers coming to Phi Phi: rated as 'Very Good' here and on Tripadvisor. The Ivory Phi Phi features in our Top 10 hand-picked hotels for 3 categories, including Best Budget Hotels in Phi Phi, Best Mid Range Hotels in Phi Phi, Best 3 Star hotels on Phi Phi Island. 5/5 Great location, great value, great stay!